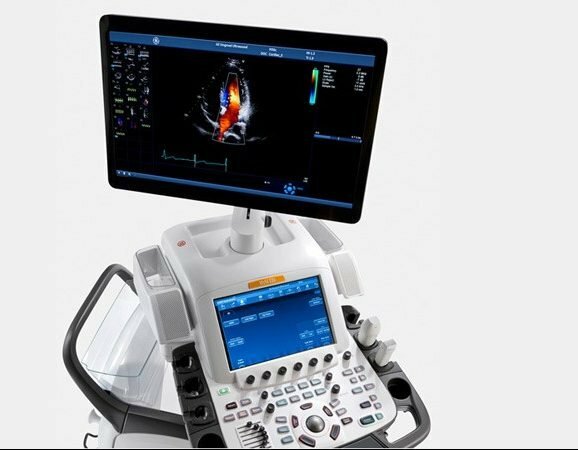 Echocardiogram | Heart Ultrasound | Heart Echo | "Echo"
Echocardiogram (Echo) is an imaging modality, performed for suspected problems with the valves or chambers of the heart or if heart problems are the cause of symptoms such as shortness of breath or chest pain. A technician (Sonographer or Cardiologist) spreads gel on your chest and then presses a device known as a transducer firmly against your skin (painless), aiming an ultrasound beam through your chest to your heart. The transducer records the sound wave echoes from your heart. A computer converts the echoes into moving images on a monitor. High Blood Pressure (Hypertension) by checking the thickness and movement of the heart wall. Measure the size and shape of the heart’s chambers. Check the ability of your heart chambers to pump blood (cardiac function). During an echocardiogram, your doctor can calculate how much blood your heart is pumping during each heartbeat (ejection fraction). Ejection fraction is usually low in heart failure. Look for a collection of fluid around the heart (pericardial effusion ).